Volkswagen is a renowned German automobile maker, which has its presence at all the major automobile markets across the globe. The Volkswagen cars are generally known for their high engineering technologies and superb performances. These cars enjoy great popularity and demand in each market they are sold. One of the most important markets for Volkswagen is India, which is a continuously evolving market. Although the carmaker was present in India from the year 2001 through its subsidiary Skoda Auto, Volkswagen India, a wholly owned subsidiary of the conglomerate came into being in 2007 only. Volkswagen had a hefty line up of cars in India like Jetta, Vento, Beatle, Phaeton, Touerag and Passat. However, some cars like the Beatle, Phaeton, and Touerag were discontinued in 2013. One of the top-selling cars of Volkswagen in India is the Vento, a compact sedan. Vento means wind in Italian and Portuguese. It is an apt name for a car of this stature. Volkswagen had launched Vento in the Indian market in 2010. It is the same car, which is available in the European markets and some other markets as Volkswagen Polo Sedan. This name was given to the sedan because in principle Vento is a stretched version of the carmaker’s hatchback, Polo. Upon its launch, the car attained resounding success and it went on to dethrone the Honda City from its top most position in the sedan segment in no time. 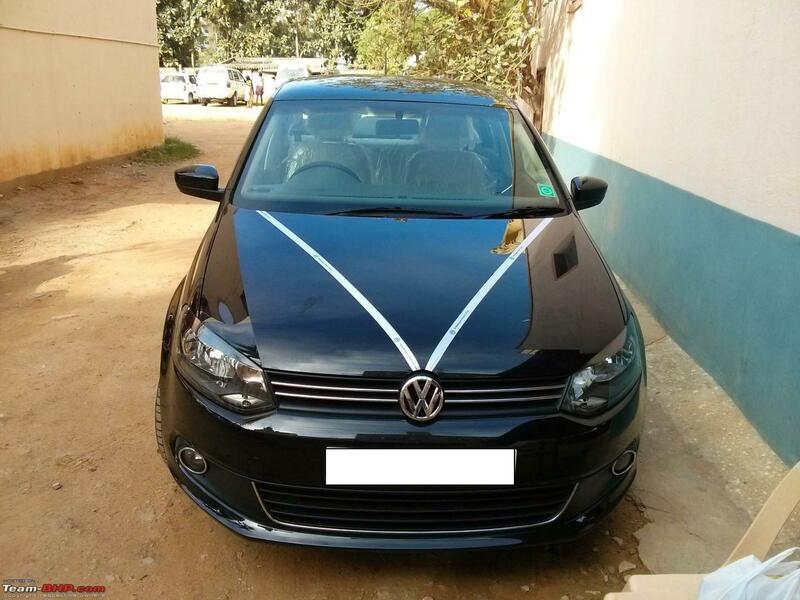 Volkswagen Vento showroom Price is varies from 7.44 lakh to 10.94 lakh rupees. This competitively priced car comes with an extraordinary build quality. The Vento give the impression of being highly sophisticated at the first glance. The powerful design inspires buyer confidence almost instantaneously. It has a very powerful and highly responsive diesel engine, which offers great ride and handling. The petrol variant of the Vento has a 1.6-litre, DOHC in-line petrol engine capable of generating a peak power of 105 bhp and top torque of 153 Nm under the hood. It offers either a six-speed automatic gearbox or a five speed manual gearbox. Conversely, the diesel engine found on Vento is a 1.6-litre, DOHC, 4-cylinder engine capable of churning a peak power of 104bhp and a maximum torque of 250Nm. The petrol variants of the Vento offer a mileage of 15.83 kmpl, whereas the diesel variants offer 20.54 kmpl. The toughest competitors of Vento are cars like the Skoda Rapid, Honda City, Maruti Suzuki SX4, Fiat Linea and Hyundai Verna. Although some of these cars offer more features and comforts than the Vento, the Volkswagen branding, has helped the Vento to fight off the competition quite efficiently. In the end, it has emerged as a worthy competitor to all of them. When The Sun Goes Away, It’s Time To Party and Play!